Even in a world where digital communications appear to dominate, successful print marketing campaigns are all around us. Large-scale print marketing programs don’t have to push against an inexorable current of change, because print has proven its worth again and again. 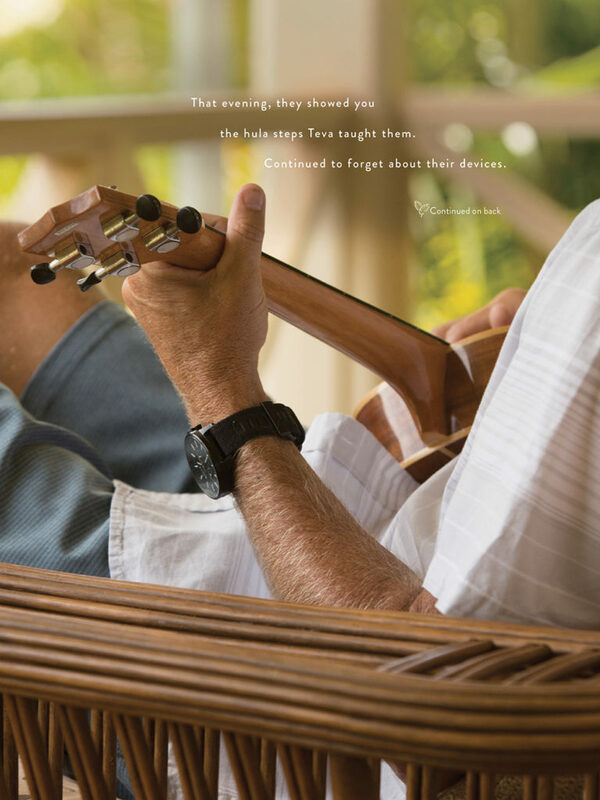 For luxurious Hawaiian resort community Kukui’ula, the answer has been decidedly in favor of targeted print for its most recent campaign, with research on print’s marketing effectiveness becoming the driving force in attracting high-end homebuyers to the South Shore of Kaua’i. The program underscored the value of careful targeting, using the right channel and the power of compelling storytelling. The Kukui’ula resort community is luxury personified. With a fabulous clubhouse, championship golf and tennis, the all-encompassing Hi’ilani Spa, and more upscale amenities than you can shake a ukulele at, Kukui’ula truly embodies the spirit of Ho’okipa — heartfelt Hawaiian hospitality. And while most all of Hawaii’s several islands comprise a virtual paradise and abound with lovely resorts, “The Garden Isle” of Kaua’i offers more secluded beaches than any other and a South Shore that enjoys sunny weather, even during the wet winter months. It’s smaller and quieter than the others, and is prized for these intimate qualities, as well. Kukui’ula has worked to promote its resort community brand with a robust marketing strategy that has included print, display ads, paid search ads and video. Now, the destination wanted to extend its prestigious reputation by promoting home and home site sales within the community, targeting upscale buyers who are seeking a second (or third or fourth) home in paradise. The destination already has its greatest selling tool in the Kukui’ula resort community itself. 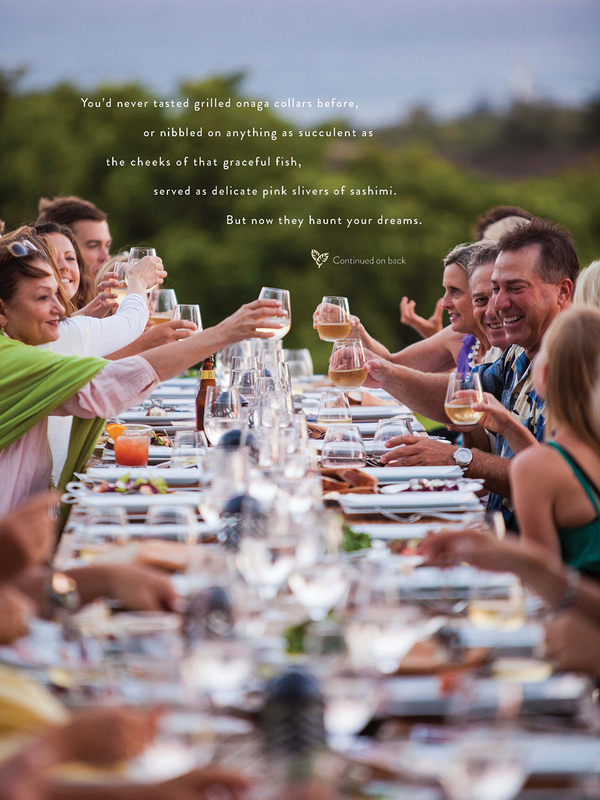 The purpose of the new campaign was to weave a compelling story around the wonders of living at Kukui’ula, and the desirability of owning a home within an exclusive resort community. Brand awareness was key, with appreciation to follow. 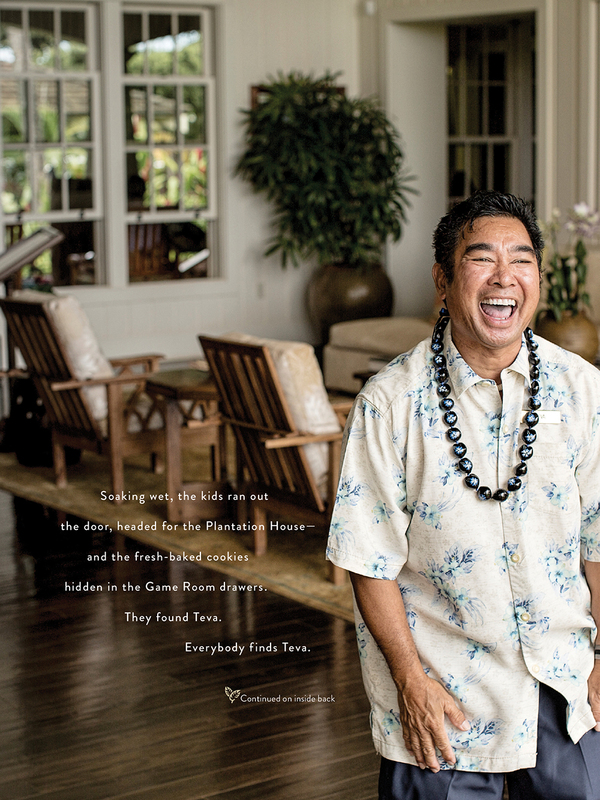 Kukui’ula hoped — along with its agency Greenhaus and media-buying partner MNI Targeted Media Inc. — that a compelling, ongoing narrative presented to an upscale audience would serve its brand awareness purpose. The challenge was simply this: With so many marketing channels to choose from, what method would be best to reach Kukui’ula’s wealthy target market? Choosing an optimal way to reach any audience is more varied today than ever. Social media, digital advertising, traditional and streaming TV, email, direct mail, print ads, and so much more, complicate the media-buying landscape. Kukui’ula’s initial challenge was to decide on the channel that would be most effective in reaching an exclusive, upscale audience. The decision ultimately came down in favor of print. Despite the growing impact of digital communications, research indicates that print media provides a boost in both engagement and recall. According to one important study, consumers who see a print ad actually recall it 75 percent of the time. Meanwhile, among those who have been “exposed” to a digital ad online — let’s face it, a problematic metric known as “viewability” and one the advertising industry has yet to figure out — only 44 percent recall seeing the ad or even remember its contents. In addition, there is the essential marketing issue of “engagement” — or driving audience interest, inspiration and action. Among those readers who have seen a print ad, 64 percent say they have been inspired to take action, a level often much better than the engagement inspired by digital ads. And while the cost per thousand views (CPM) for a print ad — given its smaller scale — can be higher than digital, the average return on advertising spend for magazine ads is considerably higher than for digital display. “Upscale” was definitely the guiding principle for Kukui’ula’s new home-sales initiative. The razor focus was on an elite audience, with messages tailored to the lives these prospects actually live and aspire to have. Luxury buyers tend to respond best to “a physical manifestation of luxury;” for Kukui’ula’s campaign, that manifestation comprised 91 percent of its target audience who regularly read one or more magazines devoted to travel, business and finance. And because print magazines have been found to be the best at reaching affluent consumers in more categories than all other media combined, including Internet and TV, this lined up nicely. 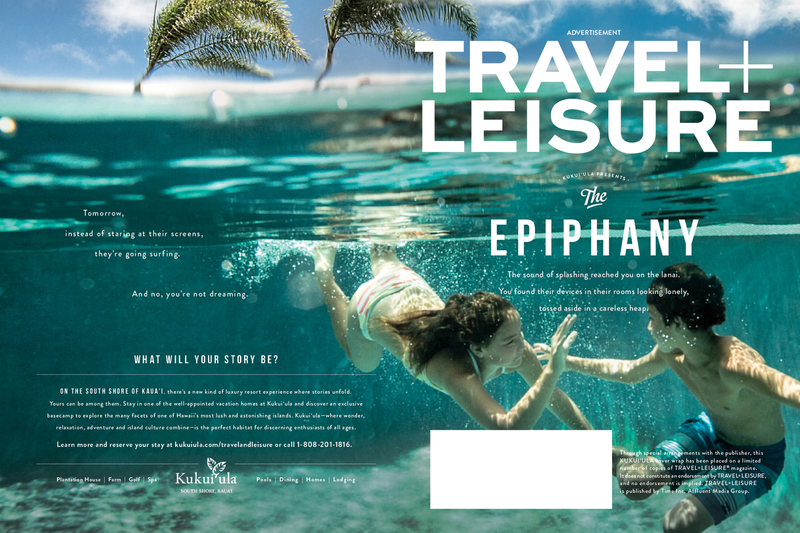 The fifth issue — “The Epiphany” — emphasized family and the idea of putting down devices in order to connect and enjoy the magic of Kukui’ula (inside front and inside back covers shown here). 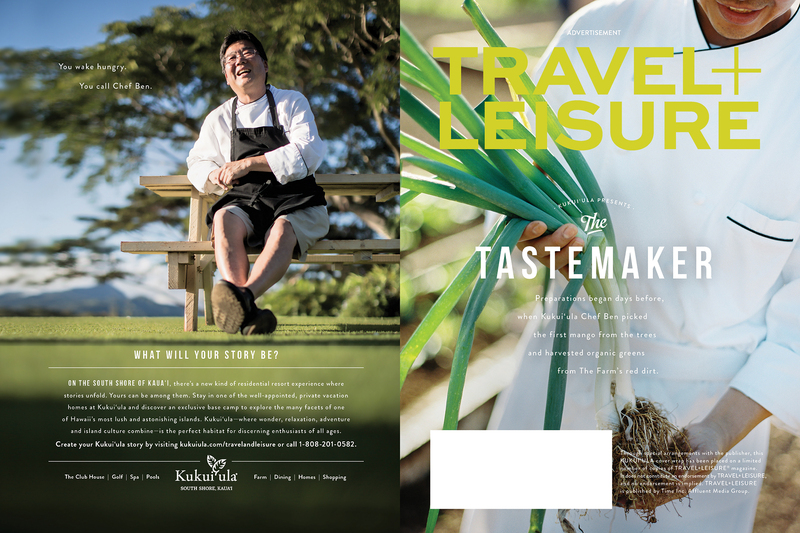 Each Kukui’ula cover wrap of Travel + Leisure created a four-page chapter of the resort community’s evolving story, ending with “What will your story be?” on every back cover. Successful marketing campaigns are a team endeavor, and Kukui’ula’s effort to promote its home sites and sales was no different. In addition to agency Greenhaus, which was to develop the creative elements and messages, there was the media planning and buying firm MNI, tasked with finding the right distribution channel. Marrying data with targets, MNI recommended Travel + Leisure magazine “for its level of prestige, [and] environment of aspiration and inspiration,” says Janine Pollack, MNI’s director of integrated marketing. 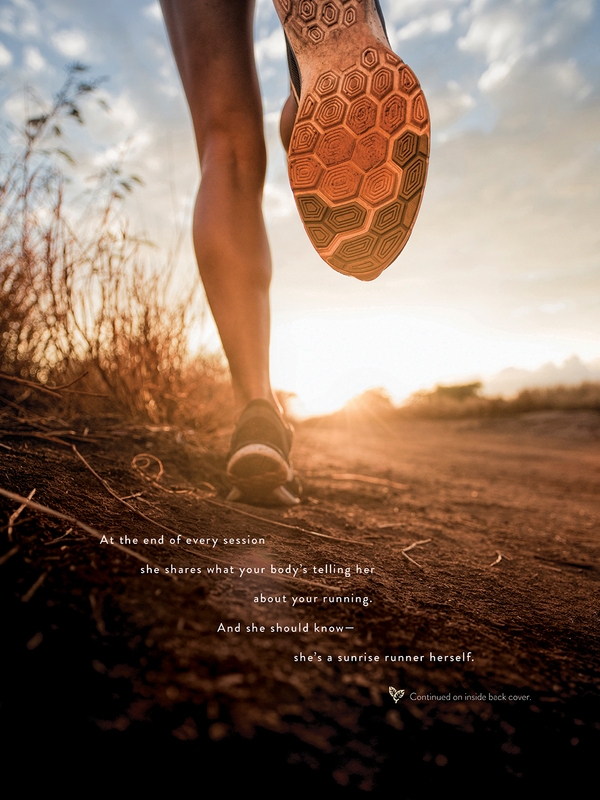 MNI also introduced the team to the concept of the magazine cover wrap, a multipage ad message bound at the spine to the outside surfaces of a magazine. We may all have seen them as magazines that come into our homes, but seldom have they been as compelling and engaging as the Kukui’ula campaign. 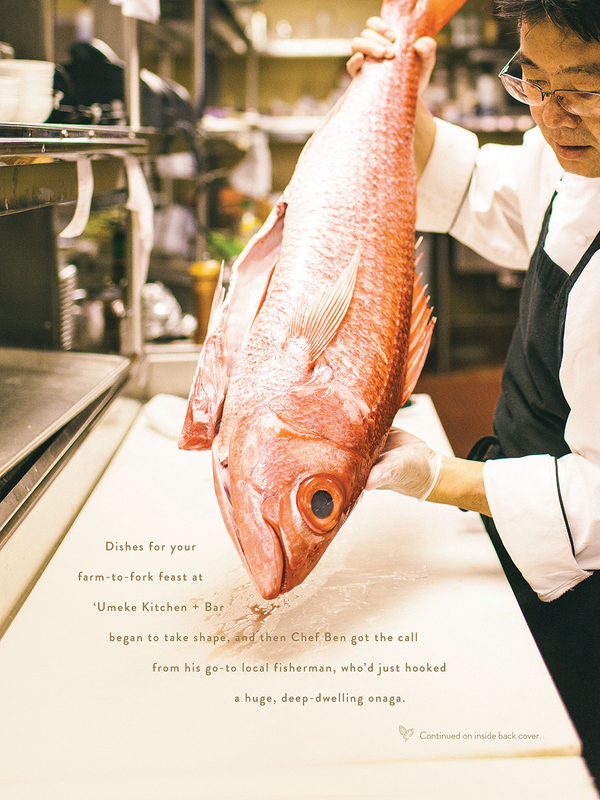 Kukui’ula and its agency responded positively to both the choice of magazine and the cover wrap concept. “It offered a great opportunity for one-on-one marketing, almost like a direct mail piece,” Schneider notes. 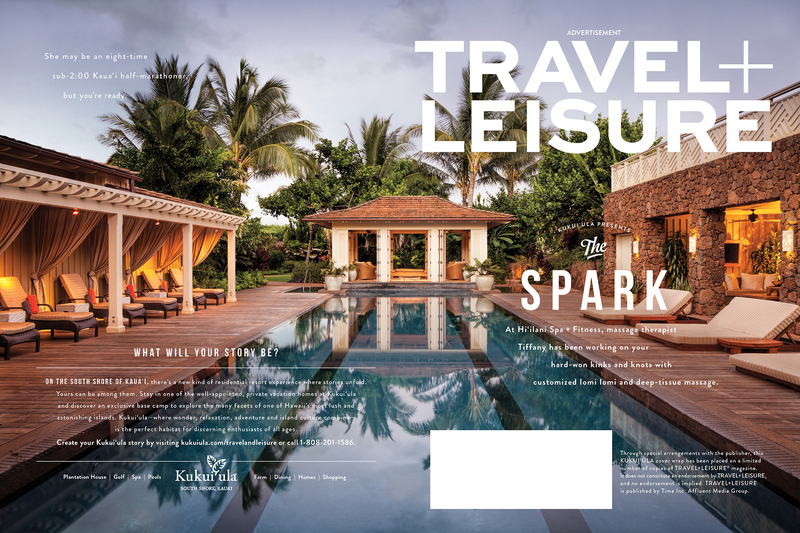 The first delivered issue of Travel + Leisure with the Kukui’ula cover wrap — titled “The Spark” — focused on luxury plus action, segueing from the spa to running trails through picturesque forests. No campaign is “one-and-done.” Marketing messages need to be repeated and reinforced with multiple placements, so the theory goes. The Kukui’ula campaign was no different in theory, but vastly different in realization. A carefully chosen set of 1,500 households was selected: those with annual incomes greater than $750,000, a $20 million-and-up net worth, and residing in major markets in the western U.S. Recipients were also chosen from among the resort community’s vacationers who had enjoyed Kukui’ula in the past. It would be these households that would receive six consecutive issues of Travel + Leisure, each with a different four-page Kukui’ula cover wrap, and a different, sequential and mutually reinforcing story. The campaign’s creators understood that their audience has a passion for travel, adventure and new experiences. What better way to speak to that passion than through immersive storytelling, which unfolded as a tale of Kukui’ula? The list of targeted households was scrubbed against Kukui’ula’s own database of guests and leads to make sure not one single issue of Travel + Leisure was duplicated. The direct marketing aspect of the campaign can’t be overstressed, and was critical to its success. The target audience was unique to the campaign, and not drawn from the magazine’s normal subscriber list. Thus, the program functioned as a high-end direct mail campaign, but with the content quality and cachet of a premier travel publication. 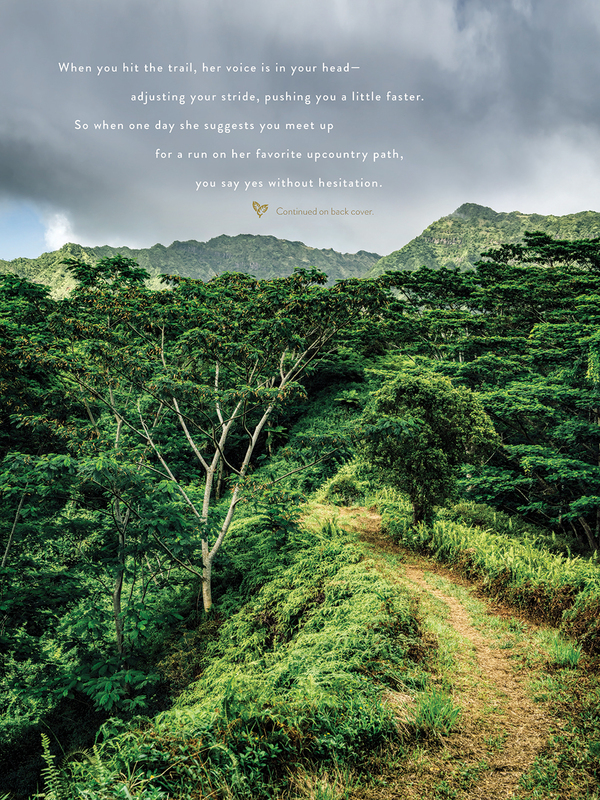 And because most recipients would presumably be surprised to receive the free publication for six straight months, featuring Kukui’ula’s evolving story, the first issue was accompanied by a cover letter introducing the campaign, noting that the magazine was a gift from Kukui’ula. The campaign’s sole call to action was a survey inserted into the fifth delivered issue, requesting additional information from the marketing prospect. Respondents to the survey augmented audience information already available, creating “warmer” leads for subsequent, more personalized marketing outreach. Invitations were also extended to come visit the resort community and see its home sites in person. Conveying the compelling story of Kukui’ula relied greatly on the creative elements of the campaign. Production quality had to be of the highest quality, as did the artwork and copy. Each cover wrap of every delivered issue featured four pages of gentle and evocative images and text that were intriguing, and had a natural segue … from issue to issue … from lifestyle to lifestyle. Successive issues of the delivered Travel + Leisure featured a different “story,” focusing on luxury, recreation, fine food and family. Cover wraps offered such titles as “The Spark” (segueing from the spa to running through forest trails); “The Guide” (underscoring Kukui’ula’s surrounding oceans and its multitude of extremely wet activities); and “The Gift” (featuring Kukui’ula’s farms); and asking the reader to imagine living in a back-to-nature wonderland. Subsequent “chapters” of the campaign included “The Waterman” (reaping nature’s ocean bounty); “The Epiphany” (wholesome activities for kids and grandkids); and “The Tastemaker” (good food, superb wine and camaraderie); all rounding out an invitation to enjoy more of the good life. The campaign was a tremendous success, reinforcing the role of print marketing, careful targeting, high production values and compelling creative. Kukui’ula reached its highly sought-after audience, driving a sales pipeline of qualified sales prospects and millions of dollars in potential sales. Among magazine recipients, 16 percent had requested more information about home sales opportunities at Kukui’ula — a remarkable 240 households, representing the campaign’s most likely prospects with as much as $5 billion or more in collective net worth. Also, 35 percent of respondents indicated they were more likely to actually visit the destination after experiencing the campaign — the very definition of strong leads. Meanwhile, Kukui’lua saw an 11 percent increase in website traffic during the campaign, with visitors spending an exceptional amount of time on the site and engaging with more content. A remarkable 81 percent of recipients are now aware of the Kukui’ula brand. The resort community and its team now plan to follow up with an email drip campaign to continue to nurture leads. And Kukui’lua hasn’t ruled out another print-based marketing campaign. An inevitable marketing lesson is that a high-cost campaign can be well worth the expense when promoting a high-value sale. Given the Kukui’lua results, the campaign’s response speak for themselves.